Artist Alfred Waud, who traveled to the Shenandoah Valley in 1864, painted this scene depicting Union soldiers burning a Valley home. 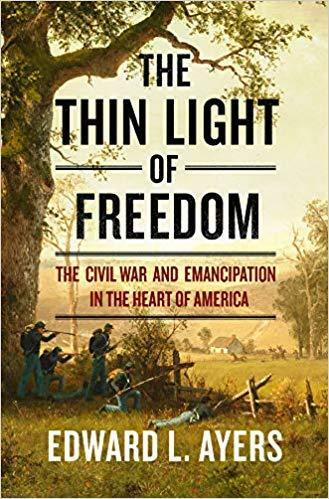 Our December Books & Brews features author Ed Ayers discussing his book, The Thin Light of Freedom: The Civil war and Emancipation in the Heart of America. This book tells a story of America’s history and two astounding events: The immediate and complete destruction of the most powerful system of slavery in the modern world followed by a political reconstruction in which new constitutions established the fundamental rights of citizens for formerly enslaved people.